She has been a member of the Kern County Bar Association since 2012 and is currently serving on the KCBA Board of Directors. While co-chair of the membership committee, the committee saw an increased member participation using social media outlets and assisting in the development of a brand-new website for the Bar. She also serves as the Mock Trial Liaison for the 2017-2018 period. She is the past Chair of the Women Lawyers Section, 2016-2017. She is the incoming Chair of the Young Lawyers Section. While serving as co-Chair of the Community Outreach Committee, she assisted in the development of Project Street Youth a free clinic where young lawyers advocate for homeless youth in our community. This project, in conjunction with Greater Bakersfield Legal Assistance, had their inaugural event this year and plan to do so in the years to come. In 2016 and 2017 she was recognized for her pro bono services to Kern County’s low-income residents through Greater Bakersfield Legal Assistance. Additionally, she is an active member of both the Criminal Defense Section and the Multicultural Bar Alliance. She has been a member of the Bakersfield College Pre-Law Program for the last two years. She is also a Board of Director for the Girl Scouts Central California region. She has coached mock trial for Stockdale High School for the last four years. Their team placed seventh at the 2015 California State competition. Ms. Torres Stallings was raised in Bakersfield and attended Stockdale High School. After high school, she attended the University of California where she held various leadership positions within Kappa Alpha Theta while achieving her BA. She attended and completed the two-year law Juris Doctorate program at Western Michigan University, Thomas M. Cooley School of Law in Ann Arbor, Michigan. While in law school she was President of the Student Bar Association and was active on the Moot Court council. Upon graduation, she earned the Esteemed Leadership Award for her role in leadership throughout law school. Ms. Torres Stallings returned to Bakersfield following graduation where she clerked with the Kern County District Attorney’s Office. 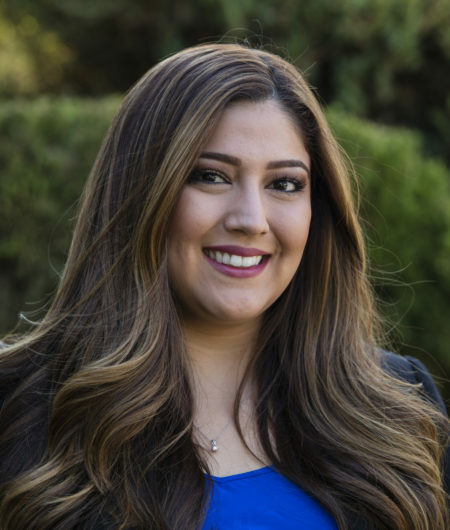 After passing the California Bar Exam, she accepted an associate’s position with the Law Office of David A. Torres and practices state and federal criminal defense exclusively.